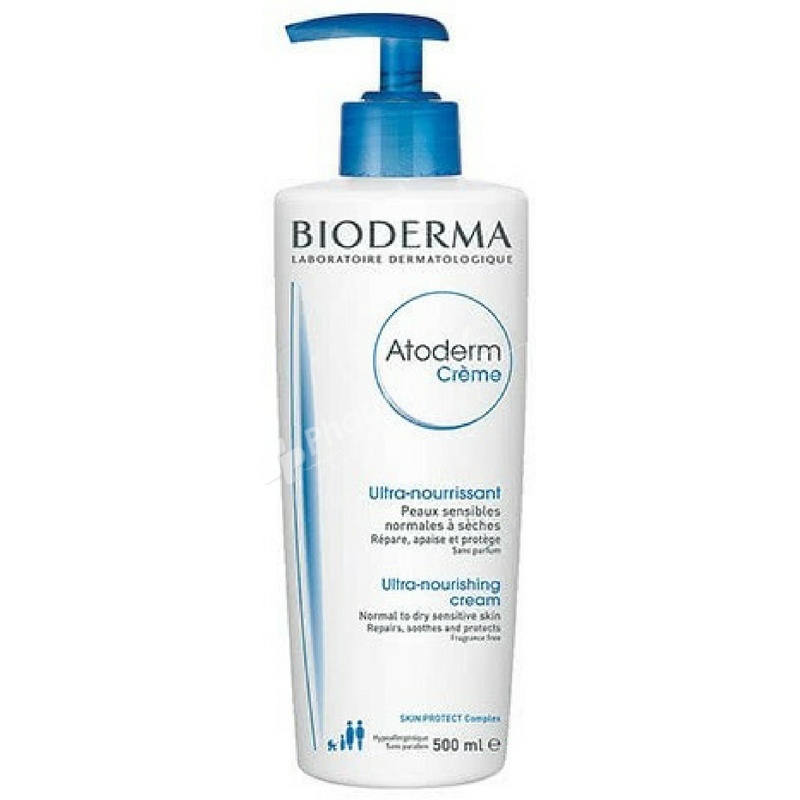 Bioderma Atoderm Nourishing Cream for dry to very dry sensitive skins moisturises, nourishes and protects the body's skin. Thanks to its ultra-rich and restructuring active ingredients, Bioderma Atoderm Nourishing Cream consolidates the structure of the cutaneous barrier and thus slows down the penetration of irritating agents. Enriched in moistening and anti-desiccant ingredients, it fixes water in the surface layers of skin and avoids its evaporation. Result, moisturised and stronger, skin is soft and supple again. Fragrance-free, paraben free, hypoallergenic. Apply once or twice a day on previously cleansed and dried skin. Can be use alternating with Atoderm PO Zinc once flare-ups have disappeared.